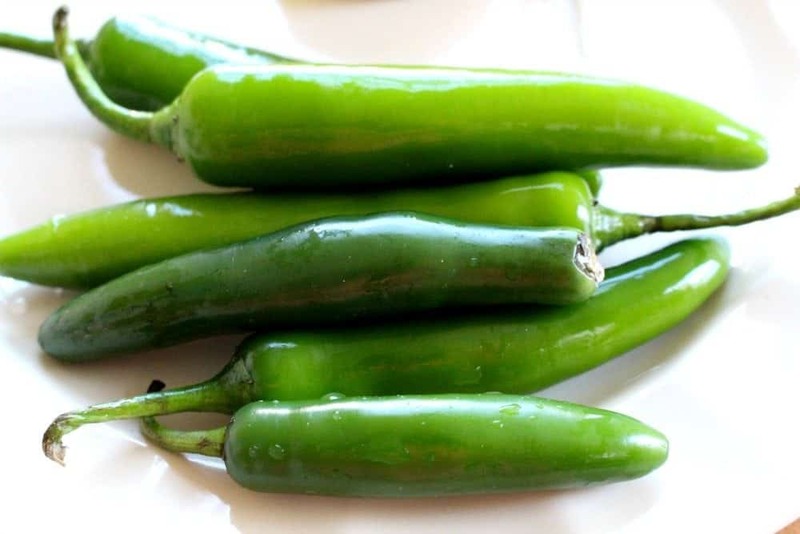 For those of you who love to cook authentic Mexican food, you must know how to use the Serrano Pepper. This popular chile packs a powerful punch that’s full of flavor. 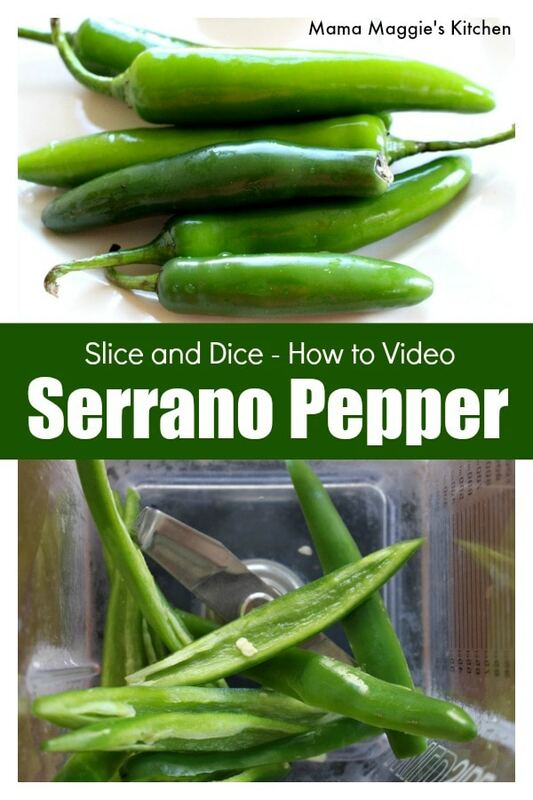 Watch the VIDEO to learn how to properly dice a Serrano Pepper. This is one of those questions I get asked all the time. How do you measure spiciness? There are some really smart people who put together something called the Scoville range. • It measures the “capsaicin,” or the ingredient that makes the heat sensation on the tongue. • The higher the Scoville measure, the spicier a pepper will be. Check out the picture above. 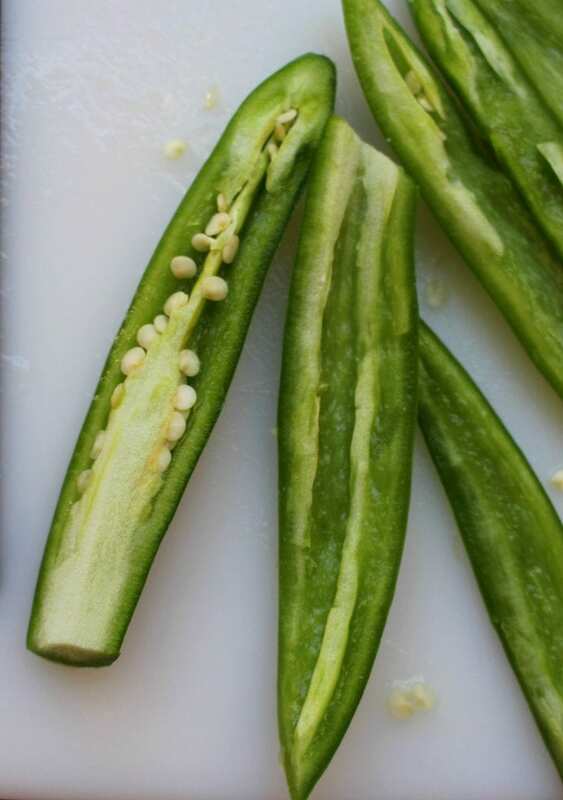 See where the serrano pepper is in the lineup. 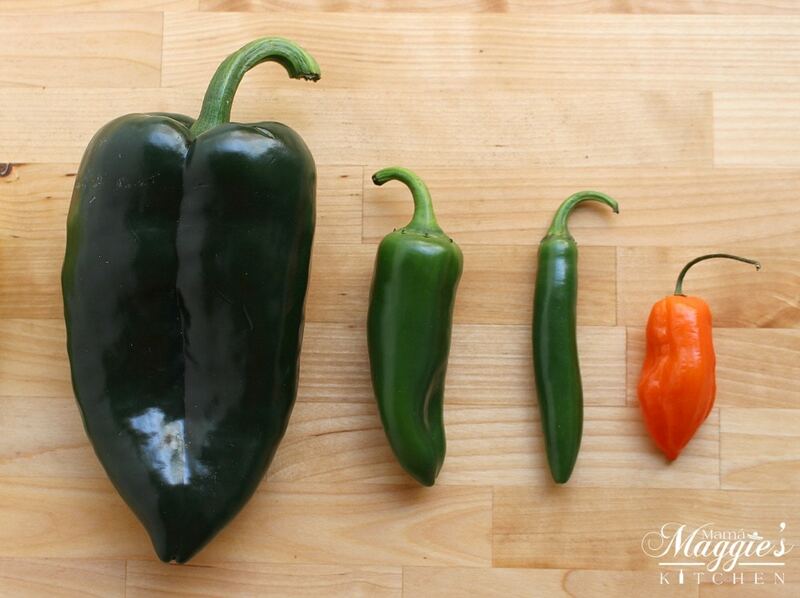 Poblano pepper is the mildest in this group. Lastly, the orange habanero is the spiciest. FYI: A green pepper has a 0 Scoville Units (SHU). How to dice a Serrano Pepper? There are a lot of people who can’t handle the heat, but still like the flavor of serrano peppers. 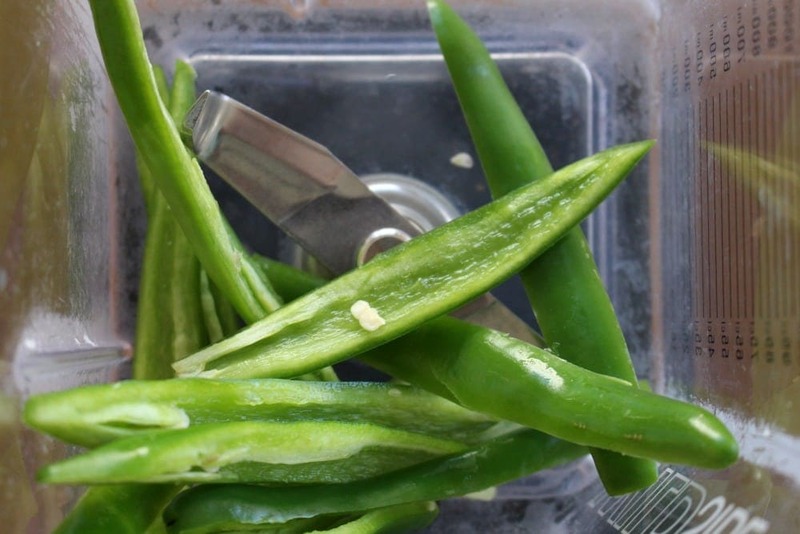 An easy way tame the heat of serrano peppers is by removing the seeds and the veins inside. Using gloves, remove the stem. With your knife, cut off the veins and remove the seeds. From here, you can slice into strips, or dice the pepper into smaller pieces. What is a good substitute for Serrano Peppers? Serranos are spicier than jalapenos. Although many people will interchange them in recipes. 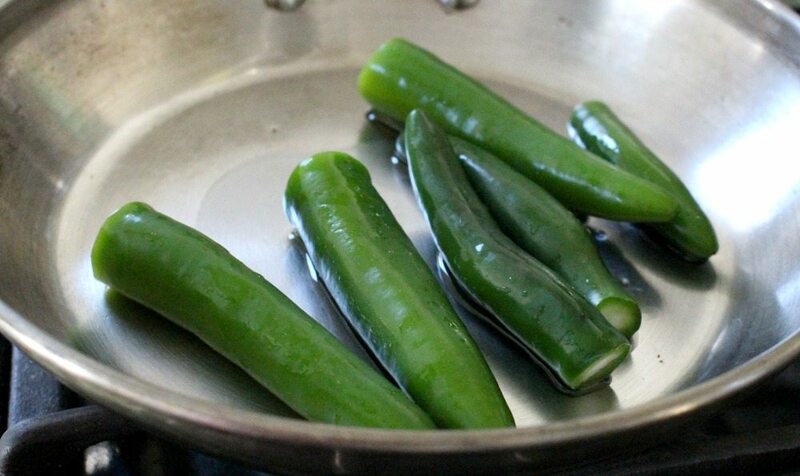 You can substitute serrano peppers with jalapenos. 1:1 ratio (one to one). That is, if a recipe asks for 1 serrano pepper, use 1 jalapeno. 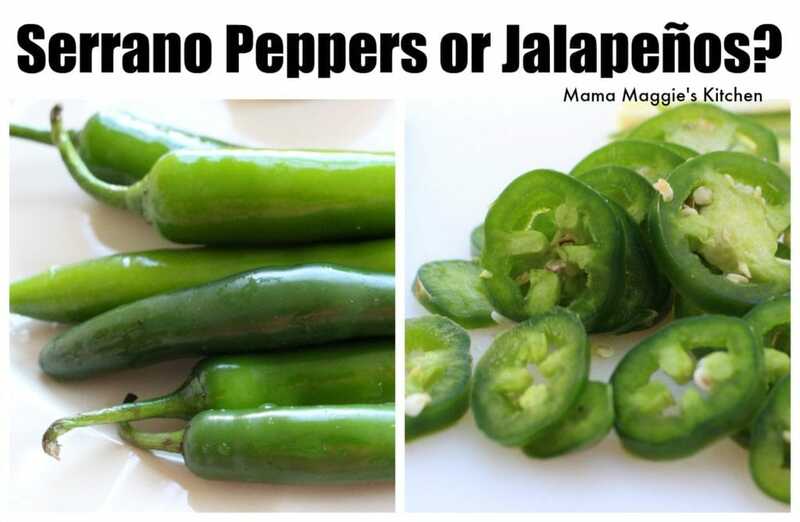 That’s why the serrano pepper makes a good substitute for the jalapeno. It’s smaller but is the equivalent to a jalapeno. What does a Serrano Pepper taste like? If you have ever had Pico de Gallo or Salsa Verde, chances are you already have a good idea of what a serrano pepper tastes like. Jalapenos taste very similar to serranos. Serranos are bright and slightly smoky, earthy with a nice level of heat. • A jalapeño is at 2,500 – 8,000 SHU. That said, a serrano pepper can be hotter than a jalapeno. 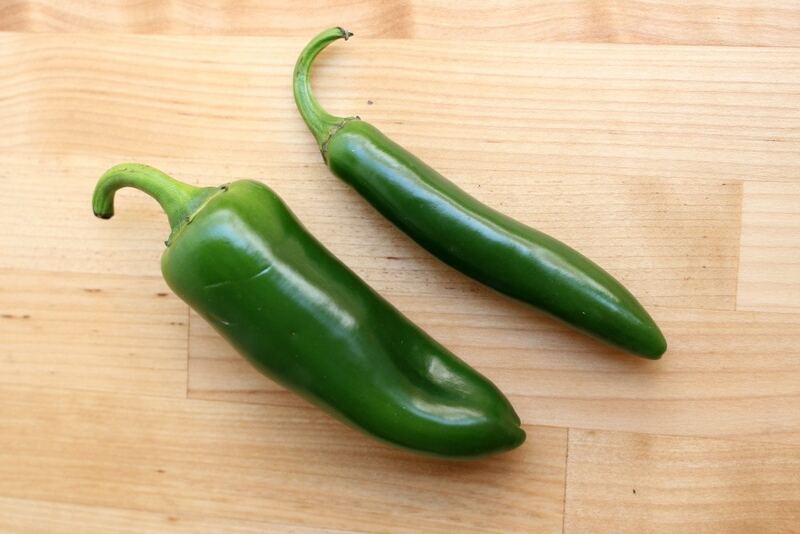 If you are substituting a serrano pepper for a jalapeno, start small then add more as desired. Personally, I like roasted serrano peppers or thinly sliced in a pan with beef or some kind of protein. YUM! Although, in a salsa, they are pretty tasty too. Keep Serrano Peppers away from your eyes! That’s me in the video. My dear readers, I’m Mexican. I was raised making tamales and stuffing gorditas. I don’t typically use gloves when I’m cutting serrano peppers, and my fingers were stinging for a few hours after I diced the pepper. If you are a novice to cooking authentic Mexican food, use gloves when cutting chiles. • Another thing you can use is a plastic sandwich bag. Place your hand inside the bag to hold the chile while slicing with the other hand. • For those of you with sensitive skin or if there is a baby in the house, be exceptionally careful. Make sure you wash your hands more than once. Whatever you do, don’t touch your eyes! They will burn…. BURN!!! • How this is done is by letting the serranos fully ripen, then they are hung outside, or dried slowly at a low temperature in the oven, or in a food dehydrator. • The best way to dry chiles, however, is in a food dehydrator. You can make stews, salsas, all kinds of dishes with dried serrano peppers. Puebla and Hidalgo, Mexico, claim this chile pepper as theirs. It is said to come from the mountain area. Nowadays, you can find it all over Mexico. In the US, it has grown in popularity, and you can find it at most stores wherever jalapenos are sold. • Since they are easy to grow, they make a great addition to any backyard garden. • The plant can grow up to 5 feet tall, but they are usually small plants. It’s a very productive plant, holding up to 50 peppers at a time. 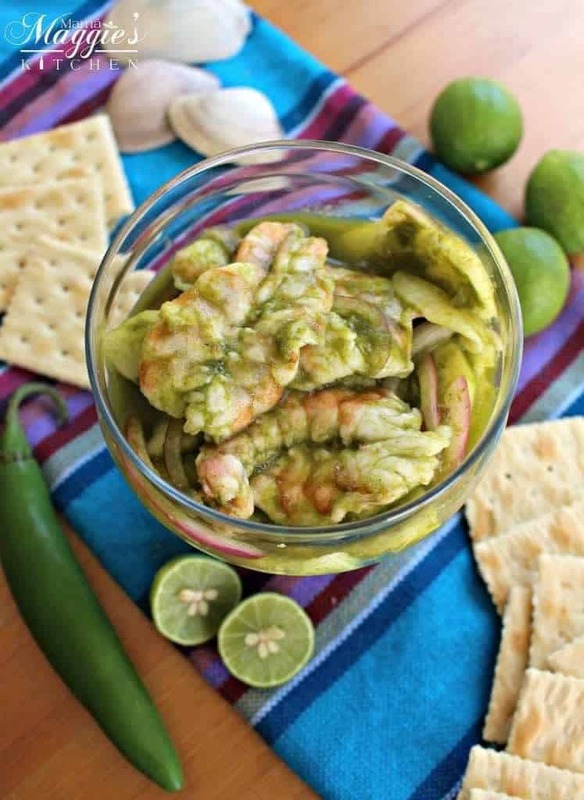 Aguachiles, or shrimp marinated in a spicy green chile sauce. Delicious, light, and full of bold flavors. This Mexican food classic will impress your guests and delight your palate. 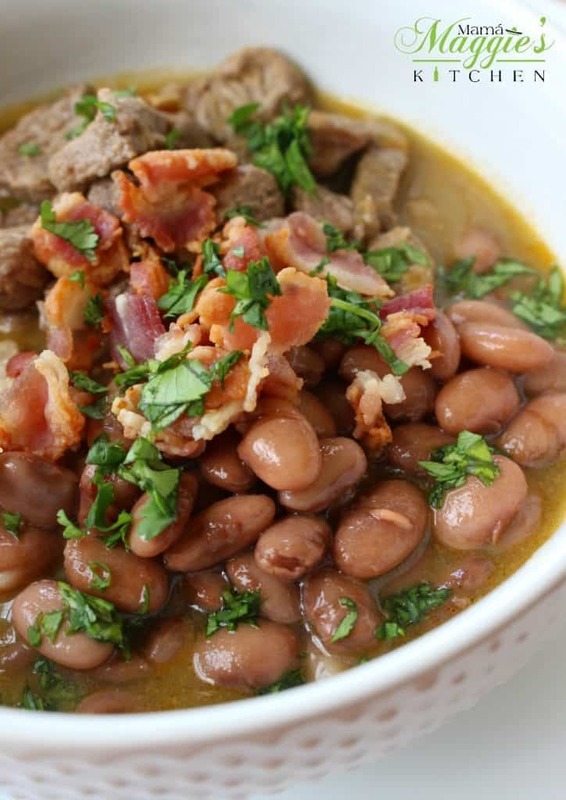 Carne En Su Jugo translated means “meat cooked in its own juices.” This traditional Mexican recipe comes from the State of Jalisco. It’s a flavorful and delicious beef soup cooked in a savory tomatillo broth. Usually served with beans. 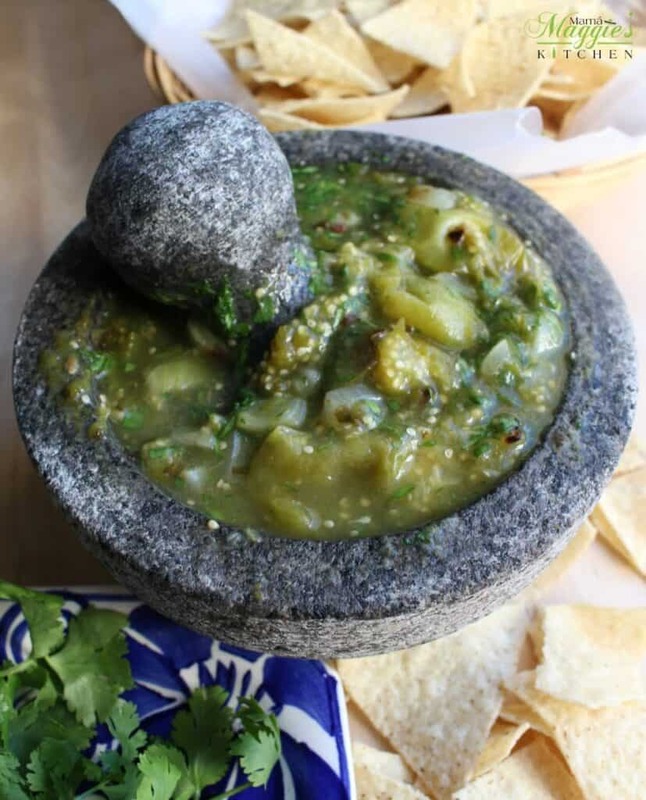 This Molcajete Salsa Verde Recipe is a tasty and fabulous treat. This is as authentic Mexican food gets and goes great with just about everything!